I’ve been interested in the craft of writing even since my high school newspaper teacher gave me On Writing Well by William Zinsser as a graduation gift. In the years since I’ve read and enjoyed Stephen King’s On Writing, Derrick Jensen’s Walking On Water, and Steven Pressfield’s The War Of Art. 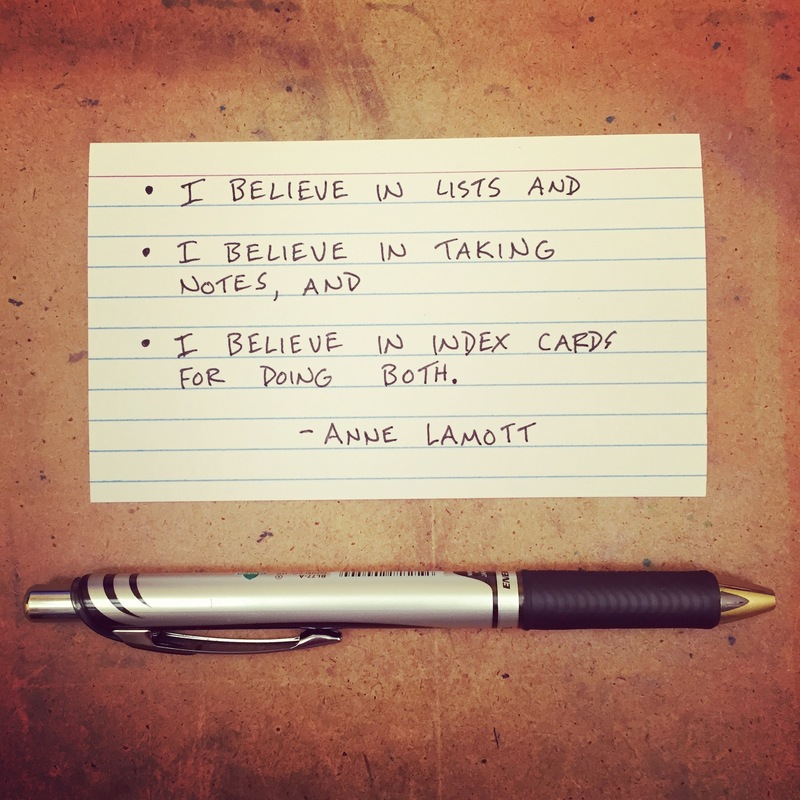 The latest addition to that list is Anne Lamott’s Bird By Bird. Here are a few of my favorites ideas from that book, shared in sketchnote form. Though the concept of mindfulness is not new to me, I don’t think that I’ve ever heard it expressed in this way. Often I think of mindfulness as a past, present, future thing. It’s helpful to learn from the past, but not to dwell on mistakes. It’s helpful to plan for the future, but not to live your life there (either in fantasy or in anxiety). But I like Lamott’s angle on it, this one-side-overconfident, one-side-overcritical voice in your head. 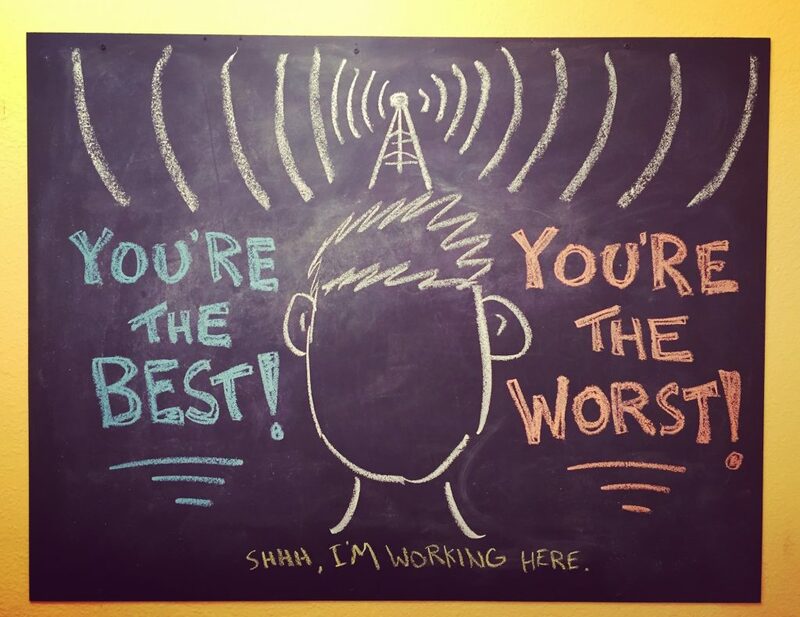 It’s helpful to recognize your strengths and play to them, but not to bathe yourself in glory. It’s helpful to recognize your weaknesses and mitigate them, but not to dwell on them to the point of apathy. Better to find a way to quiet the mind, and then just get to work. 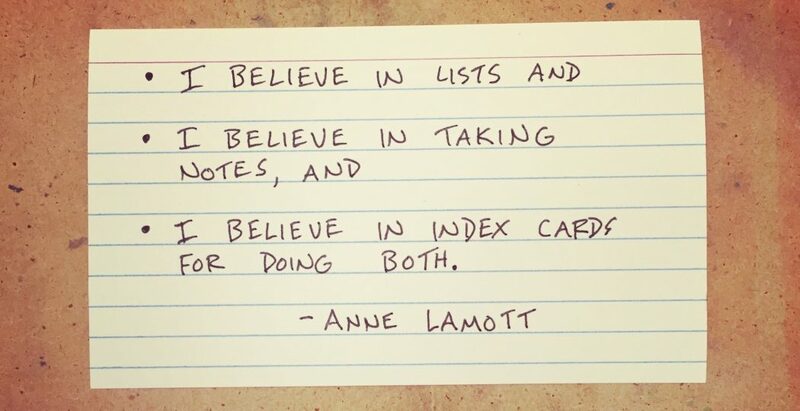 I think what I like most about Lamott’s use of index card notes is how uninterested she is in an organization system. That 50/50 chance of remembering is good enough for her, and I appreciate that. I’m curious if she still uses index cards, or if she now sues a smart phone for note-taking while out of the office. That’s what I rely on when I’m out and about – Evernote on my iPhone. But I do have a large stack of index cards in my office that I use. I also like how Lamott emphasizes the shift that happens when you start to write your ideas down rather than just keeping them in your head. The act of jotting down notes and observations means you are one step closer to actually doing something with them. 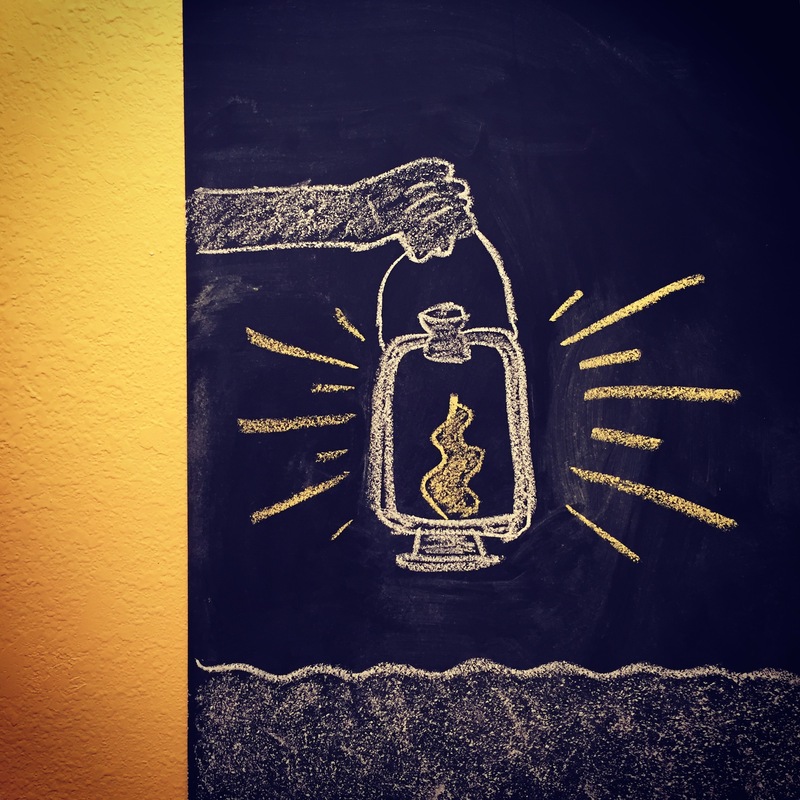 Giving attention to the darkness of our lives, though scary, seems particularly important at this point in time, when our most common form of connecting with others is through the filter of social media and the false reality that is presented through that filter. I think we need writers to “dance around the rim of that abyss” and share with us what they find. And the more that that is shared (in a healthy, intentional way), the the more balanced our intake of information might be. Interestingly, the topic of false positivity online came up recently on YouTube – first in this video by PewDiePie (the biggest YouTuber in the world), then this one by Casey Neistat (the undisputed champion of daily vlogging). As someone who experimented with daily vlogging a few times, I resonated with their thoughts. Are you interested in writing, or simply in living a creative life? Then I highly recommend Lamott’s book. It’s one that I have no doubt I’ll be revisiting in the future.